Picture of our 6 passenger limousine with lights on in the interior. 6 passenger Lincoln Town Car Limousines are the ideal executive limousines for all occasions. 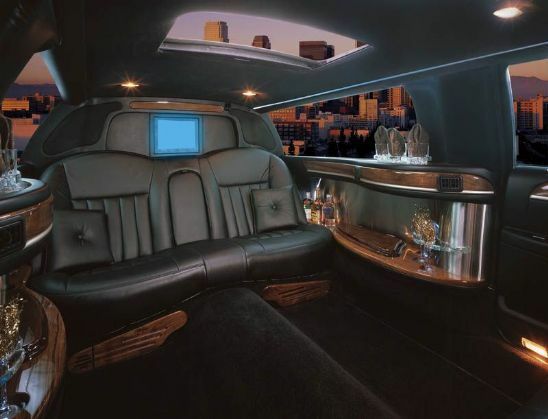 Each of these gorgeous 6 passenger limousines feature a sleek black exterior; comfortable leather seats, TV, VCR, DVD/ CD Player, plush bars, tinted windows and privacy divider. Our six passenger Town Cars are the perfect Orange County limousines for airport transfers, weddings, point to point, social events and special occasions that require a more intimate limousine in Southern California. Get a quote for 6 Passenger Town Car Service | Call (844) 4-ALS-Limo today! ALS Limo and Car Services offers 6 passenger limousine rentals in Orange County, Los Angeles County, San Diego County, Riverside County, San Bernardino County, as well as for rides to and from Las Vegas, Nevada. 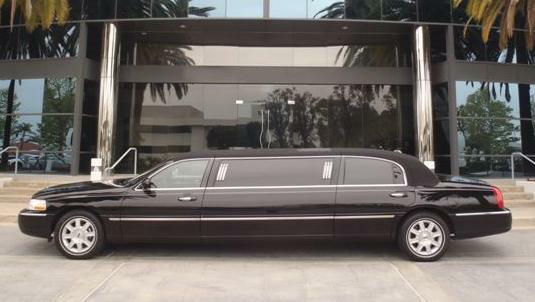 Call 1-844-4-ALS-Limo (Toll-Free) or 1-949 333-2745 (Orange County) to request a quote or place a reservation online.